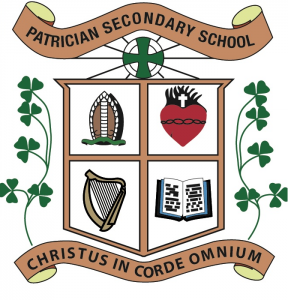 The Patrician Secondary School is a school where each individual pupil is made to feel that he belongs to a community which encourages him to recognise his positive potential and acquire a good self-image. While it acknowledges the importance of academic excellence, it strives to contribute to all aspects of each pupil’s development – emotional, spiritual, social, cultural, aesthetic, creative and moral. The school takes account of the changing social and economic conditions of our country and nurtures in each pupil those attitudes and skills which will enable him to cope. The pupil is taught to appreciate and cherish those values which will have a positive influence on his life. While it acknowledges that all are equal in the sight of God, the Patrician Secondary School will have a special regard for the poor and less privileged – the emotionally and spiritually poor as well as the materially poor. The school recognises the important role of parents and clergy in the development of the pupils and it welcomes them as partners in achieving what is best for all students. Above all, the school is a community where Faith and the values of the Gospel find daily expression in every activity within the school. In the past few years the student population has grown to over 890 students and over 70 Staff. In the year 2008 the Patrician Brothers celebrated the Bicentenary of their founding by the Bishop of Kildare and Leighlin Daniel Delany. The Patrician Secondary School in September 2009 joined the Le Cheile: A Catholic Schools Trust.